If I were to have a uniform, this would pretty much be it. 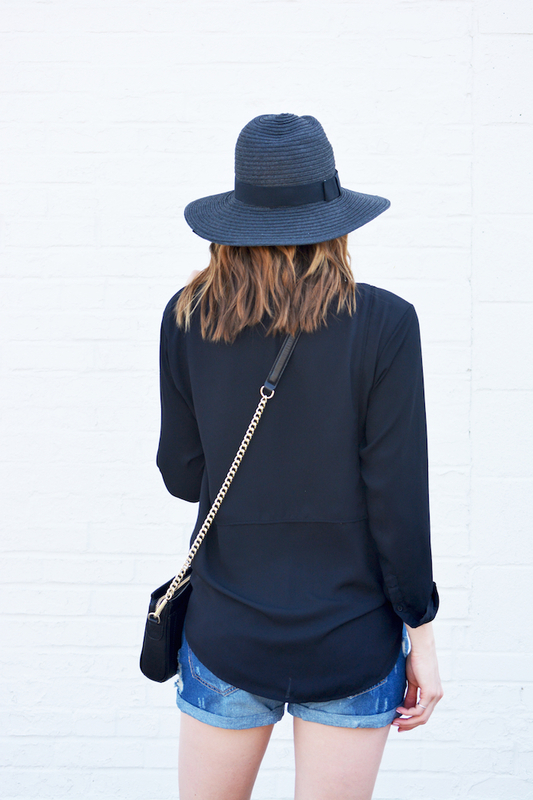 Nearly all-black, distressed denim, hat, and structured bag - check! We've had shorts weather this week and it's been absolutely glorious. I know I've whined before about how much trouble I have finding denim shorts that fit right, but I lucked out and found the pair I'm wearing for just $32 at my local boutique, June and Beyond. They don't have an online store yet, but their Instagram shows off all of their adorable clothes (you may or may not find me on there ;)), and you can order off of it by email through PayPal! If you're interested in these shorts they are true to size (the small fits like a size 2-4) and have a little extra room in the leg, which I love. Tomorrow is my birthday (hooray! ), so check back tomorrow for a special birthday post with some fun facts about me and more! Happy birthday, Jacy! 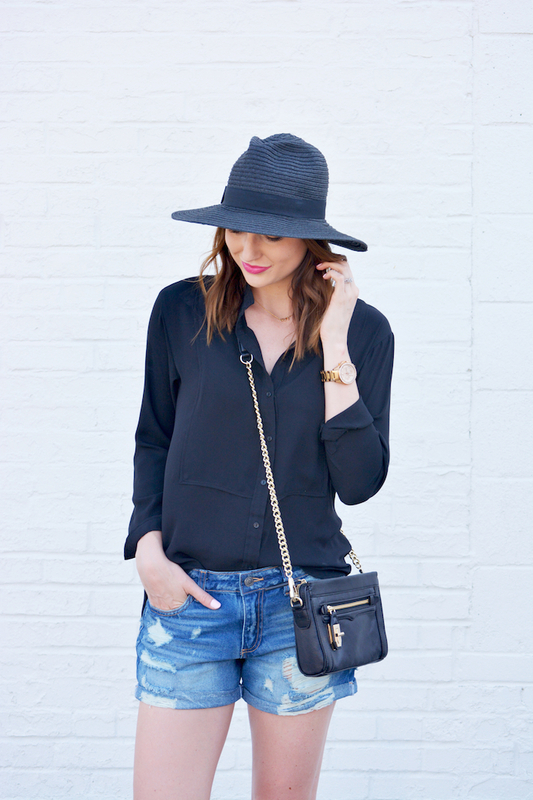 Love this chic, casual look-- totally something I would wear! Hope you enjoy your birthday weekend!